The UMass trustees have decided to reduce the authority of J. Keith Motley as chancellor of the Boston campus. 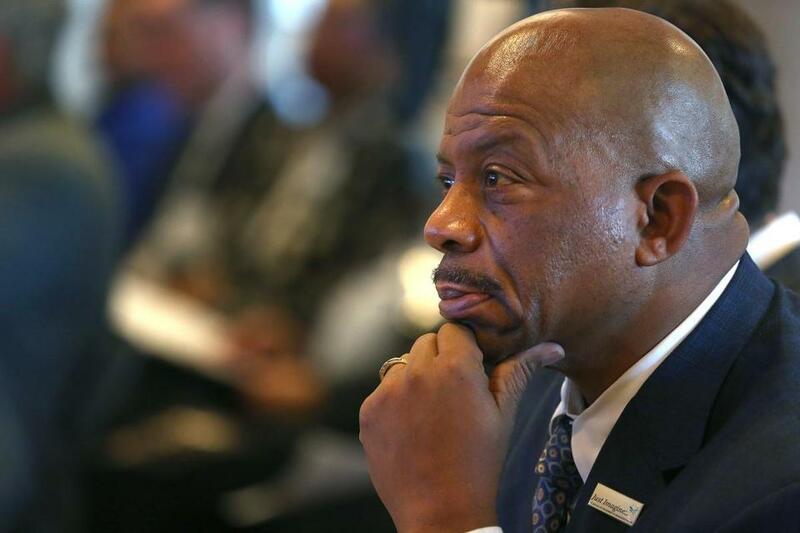 Concerned about persistent financial problems at UMass Boston, the university board of trustees has significantly diluted chancellor J. Keith Motley’s authority in the day-to-day running of the institution. Trustees have allowed Motley’s contract to expire and have hired former Bowdoin College president Barry Mills to oversee the nuts-and-bolts operation of the urban campus. On Monday, officials also named a new campus budget chief, replacing the longtime chief financial officer, who was fired in January. The campus faces a deficit of up to $30 million, declining enrollment, overdue construction projects, and weakening fund-raising, according to UMass officials. Adjunct professors have been laid off and research databases have been discontinued in an attempt to cut costs. In the history department, there’s even a prohibition on photocopying, the department chairman informed professors last week. Mills, who will earn $250,000, said the new arrangement will allow Motley to continue as the public face of the university while Mills addresses its challenges. Mills said he is not interested in becoming chancellor. 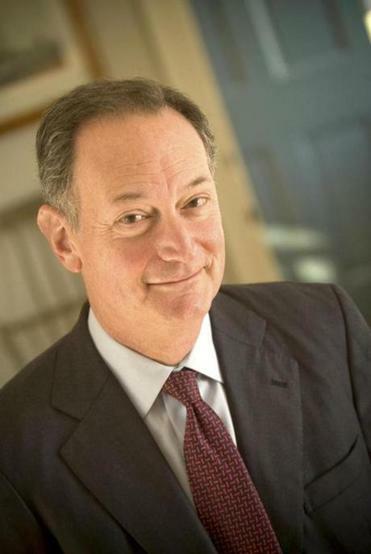 Barry Mills, formerly of Bowdoin College, will oversee some operations at UMass Boston. “I am there to run the university from the inside,” Mills said in an interview with the Globe. Victor Woolridge, a trustee who served as chairman until this year, acknowledged the need for an administrator like Mills to address pressing issues. He said his skills complement those of Motley, who was paid $422,213 last year. “It’s true, we did bring in Barry because we think there’s some need for some help there, and we think he can bring some real strength to the organization,” Woolridge said. Motley was until recently the only African-American chancellor in the state university system, and many on the majority-minority campus, and in the city of Boston, look to him for inspiration. In an interview with the Globe, Motley said UMass Boston is simply in a period of growth and transition, pointing to the many new construction projects underway. It is trying to juggle financial realities with the need to expand and update facilities in order to attract new students, he said. Motley said he welcomes Mills’s help and does not plan to leave. The financial concerns at UMass Boston have escalated in the past year. University officials have known for at least three years that they needed to address a budget gap. This year trustees grew increasingly alarmed that the campus administration was not moving fast enough to deal with the fiscal problems, according to interviews with three board members. Last month the board was told the campus’s reserve in fiscal 2016 was less than half what it was in 2014, according to a copy of a report it received. Campus officials, meanwhile, believe they can shrink the deficit to below $15 million by the end of the fiscal year in June, according to a campus spokesman. The latest in a series of budget cutting measures were announced Thursday in a memo from the provost that said the reductions are necessary because other planned cuts have not happened yet. The memo from provost Winston Langley called for the elimination of nonessential travel and a reduction in the number of summer courses, among other cuts. UMass system president Martin T. Meehan over the past year on other UMass matters, is acting in a new role of deputy chancellor and chief operating officer. Mills’s contract gives him the same powers as the chancellor. He reports to Motley but is in close contact with Meehan and the board. He has hired Robert Connolly, the former longtime UMass spokesman, to help him navigate the political landscape on campus. “It’s a compliment to Keith that he recognized that he needed someone to help him with some of the details and the complexities that the campus has,” said Rob Manning, chairman of the trustees. Mills’s contract does not include other pay and perks that college presidents typically enjoy. Motley’s three-year contract expired in January and, in an unusual move by trustees, has not been renewed, according to the central UMass office. Typically, contract renewals are negotiated six months before the agreement expires. The chancellor said UMass Boston is simply in a period of growth and transition. The campus is building its first-ever dormitory that will house 1,000 students starting in 2018. “This allows for us to continue to work hard, but it also allows for me to have a partner internally to connect some of the dots that we need to connect that I can’t do by myself,” Motley said Thursday as he prepared for a fund-raising trip to Florida. At Bowdoin, Mills is credited with increasing the school’s endowment by $1 billion to $1.4 billion, replacing student loans with grants for all students on financial aid, doubling minority enrollment, and increasing campus sustainability. Mills’s skills could be welcome at the Boston campus, where the endowment is $74.4 million and fund-raising has declined in recent years, from $14.7 million raised in fiscal 2013 to $10.5 million last year. In May, the campus’s chief fund-raising official, Gina Cappello, died in a car crash. Enrollment at UMass Boston declined from 17,000 in the fall of 2015 to 16,800 last fall, and in the nursing program, a signature of the Boston campus, it dropped from 1,500 to 1,300, according to the school. Motley and other trustees say one main reason for the enrollment decline is the major construction projects that have ripped up the campus and made it difficult to navigate, much less park. The projects are delayed and have cost more than expected. The cuts have demoralized faculty as they try to pursue research and teaching. The library discontinued its subscription to many online databases, especially those used by the humanities department, according to professors in that department. Recently, departments have been asked to return money they had already been allocated. History department chairman Tim Hacsi wrote to his staff on March 6 to say the administration had requested $6,000 be returned. He asked professors to refrain from making photocopies for class unless absolutely necessary. Hacsi said he understands the school is facing hard times and needs to make cuts, but he would like it if administrators would communicate more clearly. “Any transparency would be a big plus,” he said. 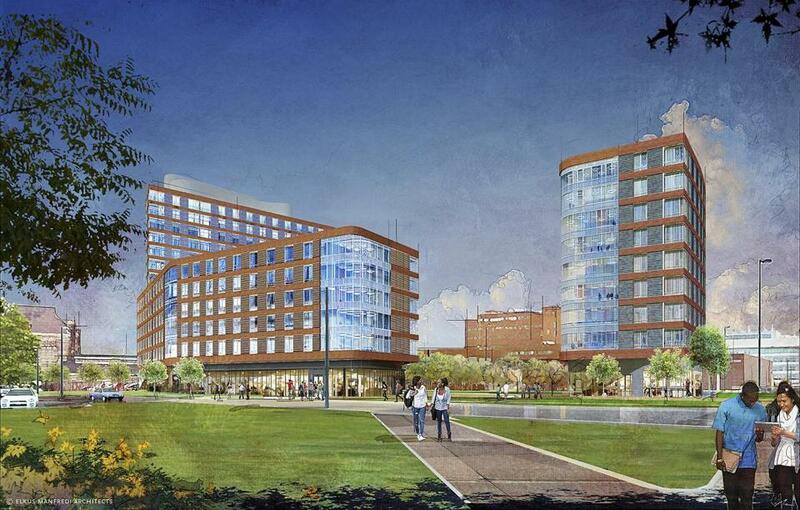 The Boston campus plans to open a dorm next year. Above: A previous rendering of the project.